In Europe in the last decade of the 19th century and in the years between the two great world wars doom thinking, dark scenario's, pessimist and negative thoughts were prevalent. Intellectual, aristocratic, academic and Bohemian people thought that Europe would go down with the growing (in their eyes) influence of the masses (the people, the working class), modernisation, industrialisation and the fact that in some times chaos, anarchy and revolutions dominated in some parts of Europe. Some artists, writers and even politicians glorified war, Nationhood, masculanity and therefor were vocal supporters of the First World War. Next to Liberalism (the Liberal revolution of 1848), Marxism and Social Democracy, Nationalism emerged on the stage of the 19th century. Germany and Italy in fact never had been independent sovereign nations, but German and Italian area's with a lot of small states, monarchies with princes and kings and some states (like Prussia and the Vatican) with a greater influence than the geographical location the state was present. Religion, class differences, linguistic differences, wars and civil wars had disrupted the European continent for centuries. 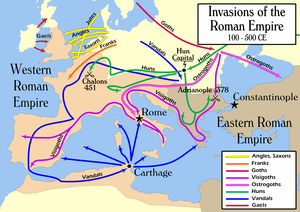 Famines, bloodbaths (mass slaughter), religious wars, wars between great empires and powers, Inquisition, prosecution of minorities, Serfdom, the heritage of and traces of Feudalism, the power of the Roman Catholic, Orthodox and Protestant (Calvinist and Lutheran) churches had greatly shaped the European continent. In the 19th century the power of the nobility and monarchs began to crumble down and with modern conservatism and liberalism the influence of the new middle and high classes of the bourgeoisie grew. The old Burgher (civilians) of the Medieval European towns and cities had developed themselves from arts & craftsmen, market vendors (stallholders), trade agents (travelling small vendors) to a well established middle class, civil servants, real estate agents, real estate developers and shop owners, teachers, taxi drivers (horse and carriage), and a class of businessmen, bankers, merchants (factory owners), lawjers, notaries and stock brokers. In the 19th and early 20th century the nobility still had some position in politics (House of Lords in England, United Kingdom), in both Great Britain and the European continent. Monarchs, princes, or people with an Aristocratic (Prussian, Dutch nobility or Polish, Hungarian or Czech/Slovak aristocratic backgground) stil had a dominant position in governments, the parliaments, the financial world, the economy and in the Corps diplomatique, which was largely a nobel aristocratic profession in which the language was French. (Even today in the diplomatic world you will find some European aristocrats in some European countries). Back to the subject, the fin de siecle, the doom thinking, the Abendland thinking was and is strong in Europe, where you have some sort of Gothic, dark side, which is caused by our old, ancient, pagan, Christian, Medieval dark past. America (USA) and Canada have their own tragic pasts, British-French colonial struggle (won by the British, which made the USA an English and not a French speaking nation, and Canada predominantly English speaking -except Quebec-), the struggle of the British, Scottish, Irish, French, Dutch and German settlers with the native Americans and the black page in the American history, the slave trade and the position of the African Americans in the USA of the 18th, 19th and 20th century. 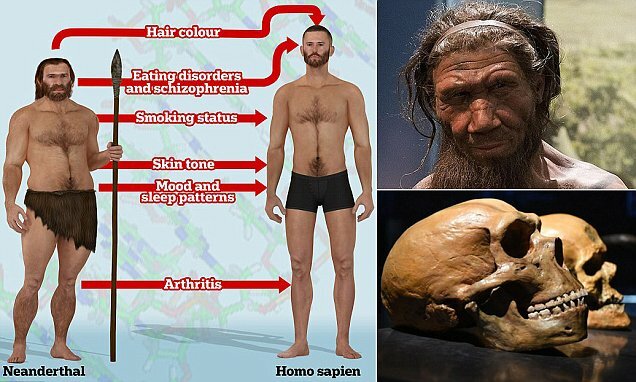 Compared to that Europe has a longer dark past of millenia of the Neanderthals (who lived in Eurasia until 40,000 years ago), the entering of Europe by the Homo Sapiens who lived for some time side by side with the Neanderthals (if mixing took place between both human spieces I don't know), the three-age Stone-Bronze-Iron system (the stone age, the Bronze age and the Iron age), the Migration Period (c. 375–568 AD or later), and the times of the Slavic, Germanic and Latin (Romanesque Tribes), the ancient Greeks, The Etruscan civilization, the Romans, the Goths, Visigoths, the Huns, the Medieval Franks (the Western Roman Empire under the Frankish King Charlemagne, Charles the Great - 2 April 742 – 28 January 814 -), the Viking Age ((793–1066 AD), the invading Tartars and Mongols which damaged and to a great extend destroyed large part of Russia, Ukraine, Belarus, the Baltic states and Poland, and the many historical developments in the old history of Europe, the New History of Europe and the Newest history of Europe. Europe has more layers of history, more haunting ghosts, more break lines and more Polarization than the USA, because you have the rich North, poor South divide. The Germanic-Latin-Romanesque linguistic and cultural border in Western-Europe, and the Germanic-Slavic/Hungarian language, culture and mentality border between Germany, Austria and Switzerland on one side and Poland, Czech Republic, Slovakia, Hungary, Slovenia and Southern Italy on the other side. Today you see clearly that that linguistic, cultural and ethnic differences and historic connections are shifting, changing. Austria in my perspective moves away from the 'Great Germanic' corner of the First World War, Weimar republic and the Third Reich and the Cold War. Austria more and more moves towards Poland, Hungary, Czech republic, Slovakia and Italy in the political sense, social-cultural sense, financial-economical sense and in mentality. Isolationalism, regionalism, nationalism, distance to the EU, and being close to for instance Poland, Hungary, Israel and Russia. This is my subjective opinion, and not a judgement, condemnation or label. Austria is a Federal democracy and the people have voted the government they have voted, just like the Americans, Poles, Hungarians, Slovaks, Czechs, Russians and Israeli's. I respect these democracies and the choice these people made. I might criticize them from my West-European Dutch perspective, but who cares. They go their direction and there is little I can do about that. You have factors like secularism vs religious affiliation/traditional stances, multi-cultural societies vs monocultural societies (The Netherlands vs Poland/Hungary), more liberal societies vs more conservative societies ((The Netherlands/Germany/Denmark vs Poland/Hungary/Austria). But even the latter description is not accurate, because Denmark has a patricular position inbetween the North-West-European nations with a strong rightwing undercurrant, Danish nationalist wave, and for instance a Social democratic party which moved to the right. The Netherlands is somewhere inbetween Denmark, Germany, Belgium, Austria and Sweden. West-European look at Central- and Eastern-Europe and the USA with mixed emotions and ambivalence. We see fellow Europeans and white Americans with a European heritage and roots who are different than us. We differ with them in the political, religious and social cultural sense, because since the 19th century and the 20th century Classical liberalism, modern 20th and 21th century European liberalism and Social democracy had a strong influence on our societies, economies and education and press/media systems. To generalise things in Central-Europe, (Eastern-Germany, Austria, Czech, Republic, Slovakia and Hungary) traditionalist conservatism, authoritarian rule, totalitarianism (authoritarian state socialism in the totalitarian communist peoples republics), concentrations of power and preserved national identities and National conservatism have a stronger and natural presence. Exceptions are there, like for instance the rightwing conservative and far right Flemish nationalism in the Flanders part of Belgium and the strong presence over there of Social conservative Christian Democrats, due to the centuries long language and cultural struggle with the French and the Walloons of the Flemish people. Thus not everything is black and white in the Progressive liberal North-West-European image vs the conservative traditionalist Central-Europe and Eastern-Europe image. You have liberal and progressive secular and humanist enclaves, islands and areas in Central- and Eastern-Europe too. I mention Prague (international city with a Czech, English and German language culture -not only Franz Kafka, but much more-), Kraków (as city island with a cultural, political and financial-economical academic intelligentsia and a international community of scientists), and ofcourse you have artists, bohemians, liberals, moderate (Pro-European, Pro-EU, Pro internal European market) Social democrats, libertarians in all these countries today too. Part of the Doom thinking or Fin de siecle thinking of Western-European intellectuals, artists, progressive politicians and even moderate conservative liberals, Christian democrats and traditional conservatives who dislike far right, xenophobe and anti-democratic elements in the National conservative Nationalist movement in Europe is that these West-Europeans see dark ghosts of the past in Central-Europe, Eastern-Europe, Russia, Turkey, the USA and Israel. They see the authoritarian presidents and monarchs of the late 19th century and early 20th century (who were involved in the destructive First World War -The German, Austrian and Russian monarchs-, and the influence of the sinister Grigori Rasputin), they see Miklós Horthy (Horthy ruled Hungary as an authoritarian ruler from 1 March 1920 – 15 October 1944) like figures in Donald Trump, Victor Orban, Jarosław Kaczyński, Vladimir Putin, Recep Tayyip Erdoğan and Benjamin Netanyahu and a decline of the principle of Trias politica (the separation of powers model for the governance of a democratic state) in the sense that leaders and governments try to limit the influence and to control the independent Supreme Court and the other courts in a country. They see a Interbellum (1919-1939) situation in Central-Europe and Eastern-Europe. In Poland rightwing politicians are somewhere inbetween Józef Piłsudski and Roman Dmowski in their National conservative or Peoples Nationalist stance. In Hungary old ghosts of the past like Miklós Horthy (1868 – 1957) , the Arrow Cross Party of the Hungarian fascist Ferenc Szálasi (1897 – 1946), and in Romania you had Corneliu Zelea Codreanu (1899 – 1938) of the Iron Guard and the Romanian dictator Ion Antonescu. Horthy led a national conservative government through the interwar period, banning the Hungarian Communist Party as well as the Arrow Cross Party, and pursuing an irredentist foreign policy in the face of the Treaty of Trianon. 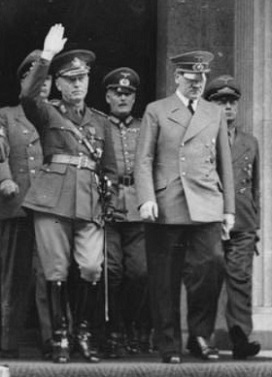 Romanian dictator Ion Antonescu meeting with Adolf Hitler in June 1941. 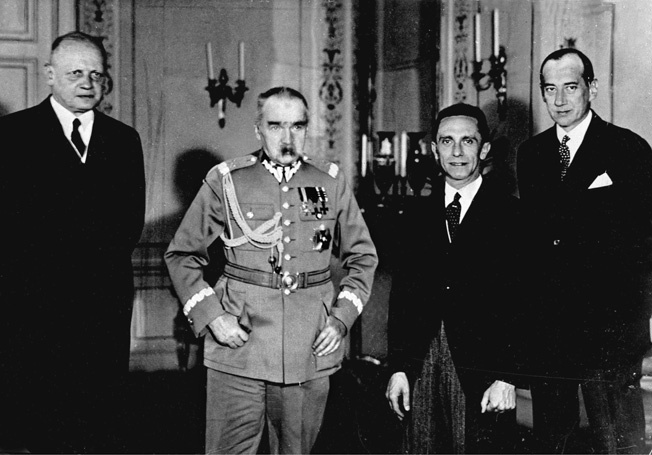 German ambassador, Hans-Adolf von Moltke, Polish leader Józef Piłsudski, German propaganda minister Joseph Goebbels and Józef Beck, Polish Foreign minister meeting in Warsaw on June 15, 1934, five months after signing the Polish-German Non-Aggression Pact. If we look further we saw a greater authoritarian influence in Central-Europe, Eastern-Europe and Southern-Europe in that time. Józef Piłsudski's authoritarian Sanacja regime ruled Poland from 1926 until 1939. Opponents from the left, center left, centrist farmers party PSL, Centrolew ( en.wikipedia.org/wiki/Centrolew ), center right, right and far right were imprisoned by the Sanacja regime in prisons and camps in Poland. 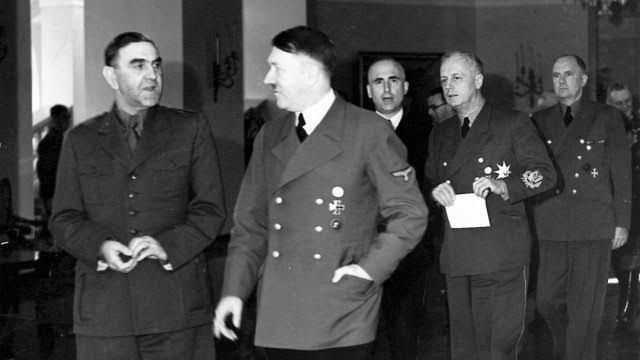 In Romania on several occasions in the last few years before World War II, the democratic parties were squeezed between conflicts with the fascist and chauvinistic Iron Guard and the authoritarian tendencies of King Carol II. In Austria the authoritarian Austrofascists with their Fatherland Front (Vaterländische Front) and the Heimwehr (Home Guard) paramilitary militia dominated Austrian politics from 1934 until 1938. Being not Nazi the Austrofascist regime was Catholic and corporatist and espoused Austrian nationalism. In that it contrasted with Austrian National Socialism, which was pan-German and anti-semitic in outlook. It advocated Austrian nationalism and independence from Nazi Germany on the basis of protecting Austria's Catholic religious identity from what they considered a Protestant-dominated German state. Austrofascism's ideology of the "community of the people" (Volksgemeinschaft) was different from that of the herrenvolk & lebensraum. They were similar in that both served to attack the idea of a class struggle by accusing leftism of destroying individuality, and thus help usher in a totalitarian state. Dollfuss' corporatist propositions were focused on the benefit of all members of the working class, from farmhands to fashion designers. Austrofascism focused on the history of Austria. The Catholic Church played a large role in the Austrofascist definition of Austrian history and identity, which served to alienate German culture. According to this ideology, Austrians were "better Germans" (at this time, the majority of the German population was still Protestant) and Austria was a second but "better German state" which ought to remain independent from Germany. King Alexander I of Yugoslavia served as a prince regent of the Kingdom of Serbia from 1914 and later became King of the Kingdom of Serbs, Croats and Slovenes from 1921 to 1929. On 6 January 1929 King Alexander I suspended the constitution, banned national political parties, assumed executive power and renamed the country Yugoslavia. Reason for this was the assassination of the Croat peasent party politician Stjepan Radić and wounding other Croat politicians of Radić Croatian Peasant Party on 20 June 1928. On that day Serb deputy and radical nationalist Puniša Račić, leader of the (Serb) People's Radical Party (NRS), shot at five members of the opposition Croatian Peasant Party in the National Assembly resulting in the death of two deputies on the spot and that of leader Stjepan Radić a few weeks later. King Alexander I of Yugoslavia hoped to curb separatist tendencies and mitigate nationalist passions. He imposed a new constitution and relinquished his dictatorship in 1931. Alexander I was assassinated in Marseille during an official visit to France in 1934 by Vlado Chernozemski, an experienced marksman from Ivan Mihailov's Internal Macedonian Revolutionary Organization with the cooperation of the Ustaše, a Croatian fascist revolutionary organisation. Alexander was succeeded by his eleven-year-old son Peter II and a regency council headed by his cousin, Prince Paul. The Serb Alexander attempted to create a centralised Yugoslavia. He decided to abolish Yugoslavia's historic regions, and new internal boundaries were drawn for provinces or banovinas. The banovinas were named after rivers. Many politicians were jailed or kept under police surveillance. The effect of Alexander's dictatorship was to further alienate the non-Serbs from the idea of unity. During his reign the flags of Yugoslav nations were banned. Communist ideas were banned also. 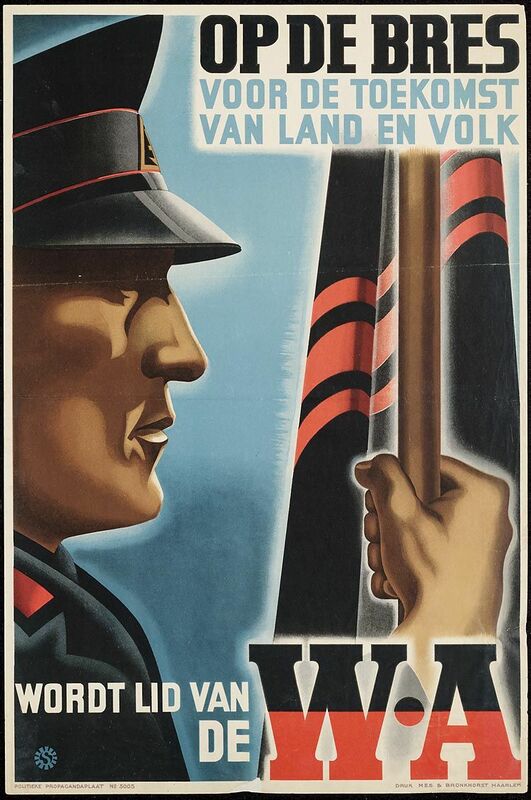 In Western Europe in Belgium you had the Vlaams Nationaal Verbond (Dutch for "Flemish National Union"), which was a Flemish nationalist political party active in Belgium between 1933 and 1945. It became the leading force of political collaboration in Flanders during the German occupation of Belgium in World War II. 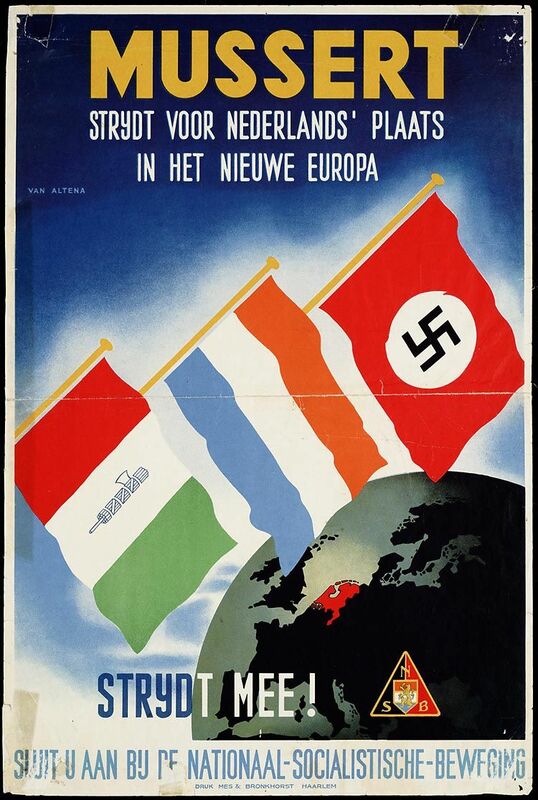 Authoritarian by inclination, the party advocated the creation of a "Greater Netherlands" (Dietsland) combining Flanders and the Netherlands. In the Netherlands the National Socialist Movement in the Netherlands (Dutch: Nationaal-Socialistische Beweging in Nederland, NSB) was a Dutch fascist (in the early thirties) and later national socialist political party. As a parliamentary party participating in legislative elections, the NSB had some success during the 1930s. It remained the only legal party in the Netherlands during most of the Second World War. The term "NSB'er" has become synonymous with traitor in the Netherlands, and is used as an insult, especially in the context of ratting somebody out to authorities. A grim joke after World War II, made by Dutch Resistance fighters, is that former NSB members insisted that their acronym actually stood for "Niet So [zo] Bedoeld" or "I didn't mean it" as they attempted to downplay their treachery. The Weerbaarheidsafdeling (typically called WA) was the paramilitary arm of the National Socialist Movement in the Netherlands (Dutch: NSB), the fascist political party that collaborated with the German occupiers of the Netherlands during World War II. The organization, roughly equivalent to the German SA (Sturmabteilung), was founded in 1932 by Anton Mussert, co-founder of the NSB in 1931 and its leader until the end of the war. Members wore and marched in black uniforms and were thus called "blackshirts". In 1933 the Dutch government banned the wearing of uniforms (by civilians), and the WA was disbanded in 1935 in order to forestall the Dutch government's banning it. In 1940, after the German invasion, the WA became openly active again, and more ruthless than before. They specialized in violent attacks, particularly on the Dutch Jewish population. Other collaborationalist, far right and dubious movements were the Croation Ustashe (Ustaša – Hrvatski revolucionarni pokret) (1929-1945) of Croatian general and military dictator Ante Pavelić (1889 – 1959) who founded and headed the fascist ultranationalist organization known as the Ustaše in 1929 and governed the Independent State of Croatia (Croatian: Nezavisna Država Hrvatska, NDH), a fascist Nazi puppet state built out of Yugoslavia by the authorities of Nazi Germany and Fascist Italy, from 1941 to 1945. In Italy ofcourse you had the fascist regime of Benito Mussolini (1883 – 1945) lasted from 1922 until 1943, and in the Italian Social Republic (3 September 1943 – 25 April 1945), also called the Republic of Salò (Italian: Repubblica di Salò). In the early hours of 2 November 1975, the body of Pier Paolo Pasolini – writer, poet, film director and one of Italy’s leading intellectuals – was found on wasteland in Ostia, just outside Rome. Several hours later, Pino “The Frog” Pelosi, a 17-year-old male prostitute, was arrested speeding along the Ostia seafront in Pasolini’s Alfa Romeo. Pasolini had made many enemies. In the weeks leading up to his murder he had condemned Italy’s political class for its corruption, for neo-fascist conspiracy and for collusion with the Mafia. Pasolini’s was a dissident in Italy and one of Italy’s most prominent intellectuals. In his final years, Pasolini was troubled by Italy’s neo-capitalist economic “miracle”, which deluged semi-rural Italian homes with quantities of Coca-Cola, chewing gum, jeans and other trappings of American-style consumerism. Pasolini’s tragedy was that he was unable or unwilling to countenance this social change and desire for material gain among his adored, pre-industrial ragazzi di vita (street kids). Pasolini’s lifestyle and love of old-fashioned Italy was part of his own downfall and demise. 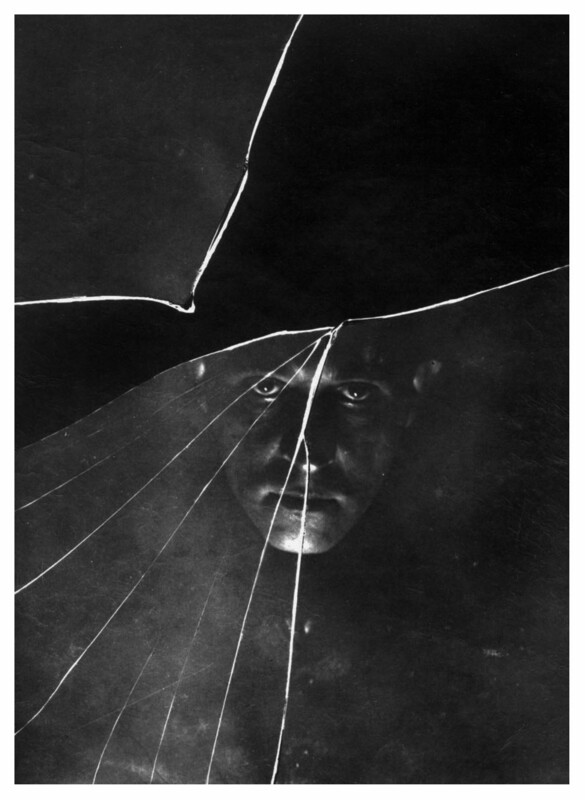 Pasolini’s violent death was somehow foretold in his work. In France you had Action Française. In the inter-war period, the movement enjoyed prestige and influence, but its popularity gradually declined as a result of the rise of fascism and of a rupture in the relations with the Catholic Church. During the Second World War, Action française supported the Vichy Regime and Marshal Philippe Pétain. After the fall of Vichy, its newspaper was banned and Maurras was sentenced to life imprisonment. The movement nevertheless continued to exist due to new publications and political movements. Although Action française is not a major force in the right as it used to be, its ideas have remained influential. In the beginning of the 1980s, various Action Française figures, such as Georges-Paul Wagner or Philippe Colombani (in French) joined the ranks of Jean-Marie Le Pen's far right National Front (FN, Front National). Until the 1999 breakaway of the National Republican Movement (MNR) led by Bruno Mégret, Jean-Marie Le Pen's success was partly explained by his unification of the various far right families (such as traditionalist Catholics, royalists, neofascists, etc.) which share few ideals apart from a distrust of liberal democracy and a staunch anti-communism. In Post War France the far right was active in the decolonisation years in French North-Africa and in France. The Organisation armée secrète or OAS (meaning Secret Army Organisation) was a short-lived right-wing French dissident paramilitary organization during the Algerian War (1954–62). The OAS carried out terrorist attacks, including bombings and assassinations, in an attempt to prevent Algeria's independence from French colonial rule. Its motto was L’Algérie est française et le restera ("Algeria is French and will remain so"). By acts of bombings and targeted assassinations in both metropolitan France and French Algerian territories, which are estimated to have resulted in 2,000 deaths between April 1961 and April 1962, the OAS attempted to prevent Algerian independence. Elements of the Organisation armée secrète or OAS (meaning Secret Army Organisation) later played a role in the Nouvelle Droite (New Right) movement in France, in Front National of Jean-Marie Le Pen and Marine Le Pen and the National Republican Movement (Mouvement National Républicain, MNR) of Bruno Mégret, Annick Martin, Yvan Blot, Jean-Yves Le Gallou, and OAS members had ties to Action Française. Fin de siècle, (French: “end of the century”) refers to the end of the 19th century, relating to, characteristic of, or resembling the late 19th-century literary and artistic climate of sophistication, escapism, extreme aestheticism, world-weariness, and fashionable despair. Fin de siècle encompasses both the meaning of the similar English idiom turn of the century and also makes reference to the closing of one era and onset of another. The term is typically used to. This period was widely thought to be a period of degeneration, but at the same time a period of hope for a new beginning. 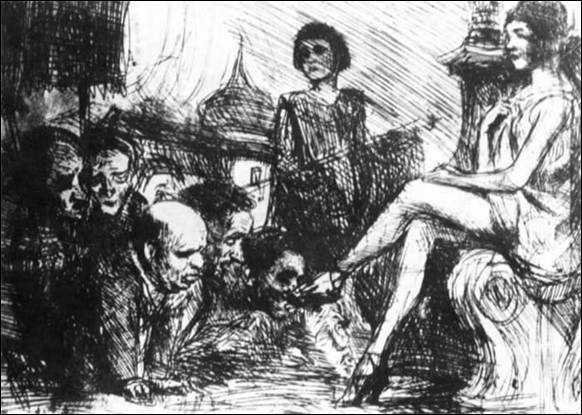 The "spirit" of fin de siècle often refers to the cultural hallmarks that were recognized as prominent in the 1880s and 1890s, including ennui, cynicism, pessimism, and "...a widespread belief that civilization leads to decadence." When used in reference to literature, the term essentially describes the movement inaugurated by the Decadent poets of France and the movement called Aestheticism in England during this period. In the Netherlands the fin de siècle (“end of the century”; specifically the end of the 19th century, and a phrase that has overtones of a rather precious sophistication and world-weariness) style and sense of purpose appeared in the paintings of Johan Thorn Prikker and Jan Toorop. The Viennese Gustav Klimt made bolder and more-arbitrary use of pattern. In Russia the demonic genius of Mikhail Aleksandrovich Vrubel had points of contact with the Art Nouveau style. It even affected Seurat and his circle, who were known as the Neo-Impressionists; the popular imagery of Seurat’s later works, such as The Circus (1890–91), was expressed in sinuous rhythms not far from Art Nouveau, and the Belgian Henry van de Velde passed from Neo-Impressionism by way of fin de siècle decorations that were near abstraction to a place among the founders of 20th-century architecture. A strange and beautiful blend of Symbolism with an alpine clarity of colour close to Neo-Impressionism appeared in compositions such as The Unnatural Mothers (1894) by the Italian Giovanni Segantini. Other artists in the tragic, sad, heavy and troublesome years of the late 19th century, the first world war, the Interbellum years (1919-1939) were the Polish artist Bruno Schultz (July 12, 1892 – November 19, 1942) and Stanisław Ignacy Witkiewicz (24 February 1885 – 18 September 1939), and the German artists George Grosz (July 26, 1893 – July 6, 1959) and Otto Dix (2 December 1891 – 25 July 1969). These painters, drawers and people of their time showed the tension, political turmoil, human despair, decadence, sinister hidden layers and the society as it was and their personal connection to it. Essen, Germany: Stained glass window of Jan Thorn Prikker in the B.M.V. Church. Ornaments with symbols of Christ and Virgin Mary. Located in the choir of the sisters. Created by Johan Thorn Prikker in 1931. Doom thinking, the tendency to darkness, often connected to melancholy, sadness, the idea of a lost world, a lost civilization, a lost era, the downfall of the old world and the old order. 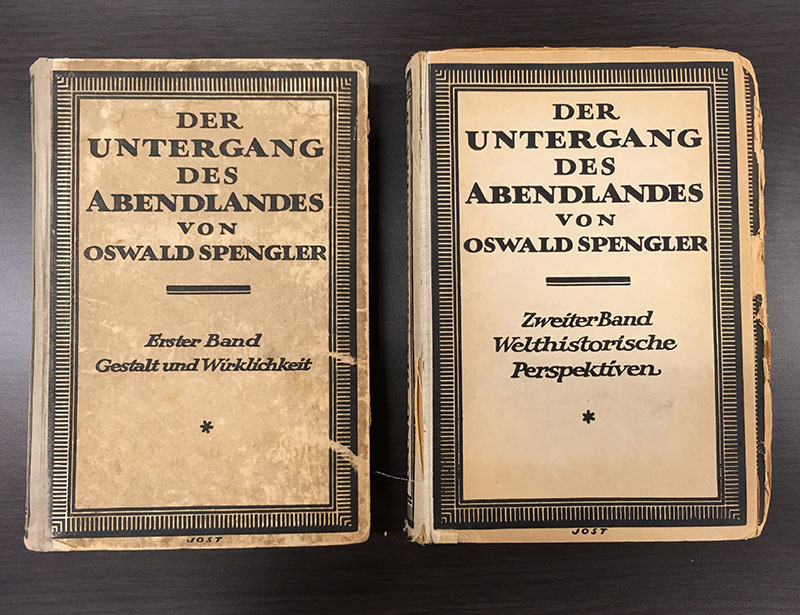 In The Decline of the West (German: Der Untergang des Abendlandes), or The Downfall of the Occident, is a two-volume work by Oswald Spengler, the first volume of which was published in the summer of 1918. Spengler revised this volume in 1922 and published the second volume, subtitled Perspectives of World History, in 1923. According to Spengler, the Western world is ending and we are witnessing the last season—"winter time"—of Faustian Civilization. In Spengler's depiction, Western Man is a proud but tragic figure because, while he strives and creates, he secretly knows the actual goal will never be reached. The Fin de siecle and pessimist doom thinking of the Interbellum years and the late seventies and eighties of the 20the century was symbolised by a doom and dark anarchist and melancholic reaction on the commercial consumer product society, commercial pop music (large slick and smooth rock and roll bands and pop music) and the unemplpoyment, recession and cold war of the Punk and New Wave music and the squater and autonomen subculture in West-Europe in the Netherlands, Germany, Denmark and Germany. P.S.- For the modern or Post-Modern doom and fin de siecle music look down herein the next post. I am not a propagandist, supporter or follower of Oscar Sprengler, but I just find his ideas interesting in the context of this downfall, doom and fine de siecle thinking thread. For as you are not a propagandist neither my self. For we are too much a realist to travel under such false colours. Not every thing is as it appears or seems, and so with Mr. Oscar Sprengler as well. Using the manner of empathic understanding of his messages, comes not as gloom and doom, but to awake the minds of the walking sleepers that makes up the sum of the general public. With this, the morality of central authority that makes up our respective governments as well. For yes, we have enjoyed our 70 years of peace, that many young solders on all sides payed the price with their lives for. Even though our world has changed since then, and continues to change with the present which will turn in to the future as time progresses. Nothing is for ever, and this includes our present world and our selves as well. The important aspect of this all, is to change with our world around us and this will keep the balance sheet clear. Another aspect as well of many, is to keep the focus clear for what we wish to strive for and not waver. We want our enemies to fear the worse and lose focus, for defeat is only in the mind. What some would say: Life is sweeter upon defeating death. This is well and good, but what does it solve? The trick is not to be in such a situation as above in the first place. Oscar Sprengler (29 May 1880 – 8 May 1936) is an interesting German historian and philosopher of history. Spengler's model of history postulates that any culture is a superorganism with a limited and predictable lifespan. Spengler is rendered as a nationalist, anti-democratic, and a prominent member of the Conservative Revolution, but he rejected National Socialism due to its racialism. Instead, he saw his ideal realised in Benito Mussolini, the dictator of Fascist Italy. Sprengler was a man of his time and not a man of 2018, but some of his predictions came true. 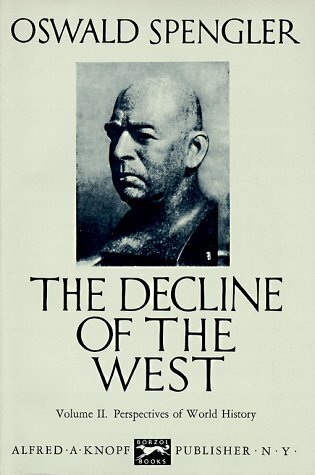 When The Decline of the West was published in the summer of 1918, it was a wild success. The perceived national humiliation of the Treaty of Versailles (1919) and later the economic depression around 1923 fueled by hyperinflation seemed to prove Spengler right. It comforted Germans because it seemingly rationalized their downfall as part of larger world-historical processes. The book met with wide success outside of Germany as well, and by 1919 had been translated into several other languages. Spengler rejected a subsequent offer to become Professor of Philosophy at the University of Göttingen, saying he needed time to focus on writing.